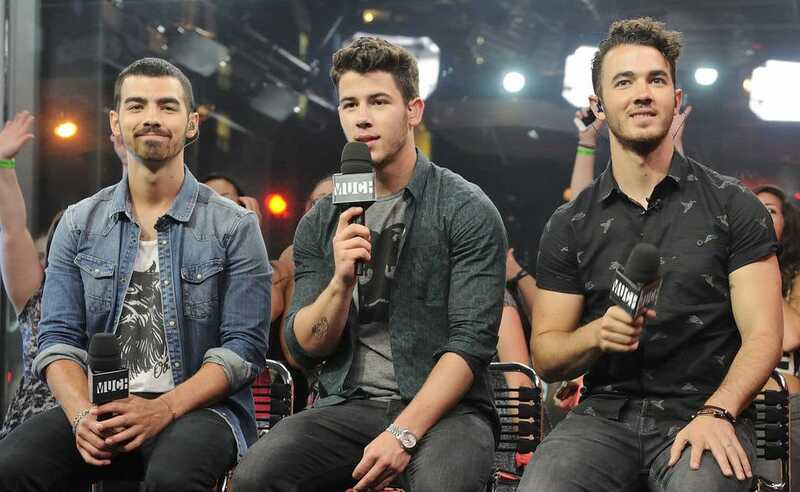 The rumors about the trio- Nick, Joe and Kevin Jonas reuniting and releasing their first song might be true. Nick, Joe and Kevin Jonas are set to release their first single since their reunion on Friday, March 1, according to US Weekly. Even though there’s no official word from the trio yet, many people are keeping their hopes up that the circulating rumors are true. Last week the news of the reunion broke out, it was said, that the Jonas brothers had flown into London to work on new music together. There were also talks about a documentary which was supposed to cover their reunion story. The band released their last song 10 years ago and the band officially split six years ago. Their fans are ecstatic about the news and Twitter is proof. People all over the globe can’t take a back and the social media is flooded with posts in exclamation! After the news of a possible reunion of the Jonas Brothers broke out last week, fans of the ex-teen band have not been able to keep calm at all. All the camp rock fans went down the memory lane and replayed all the Jonas Brothers song. Nick Jonas ,Kevin Jonas and Joe Jonas add a new post to their Instagram Handle ,confirming the release of their NEW SONG ‘Sucker’. Also Read: Why Is Captain Marvel Becoming MCU’s Most Controversial Film? One of the most popular teenaged groups of the 2000s, the Jonas Brothers crafted hook-filled power pop anthems in the vein of McFly, Hanson, and the Modern Lovers. The young New Jersey natives (while readying their 2006 debut, brothers Joe, Kevin, and Nick Jonas topped out at 16, 17, and 13, respectively) were reared in the city of Wyckoff under the tutelage of musical parents. Nick showed a particular flair for singing; by the age of six, he’d already begun a modest career as a Broadway performer. The siblings’ songs impressed the president of Columbia, who ultimately signed the trio in 2005. The Jonas Brothers‘ full-length debut, It’s About Time, was released in August 2006, the album peaked at number 91 on the Billboard charts and earned the siblings a modest audience, particularly among fans of Radio Disney. Nevertheless, the Jonas Brothers were dropped from Columbia’s roster in early 2007. They bounced back by signing with Hollywood Records, a Disney-owned label that helped the group exponentially expand its fan base. Also Read: Leaked Captain Marvel Set Footage Shows Young Nick Fury with Captain Marvel?! Here’s Our Theory About It! An eponymous sophomore album, Jonas Brothers, arrived in August 2007, supported by a number of Jonas Brothers appearances on the Disney Channel’s various programs. The reality television show Jonas Brothers: Living the Dream documented the band’s life on the road, and the band’s TV presence was furthered along by Camp Rock, a 2008 Disney Channel television movie that featured the brothers and up-and-coming star Demi Lovato. The movie was watched by nearly nine million viewers and launched the Jonas Brothers‘ next single, “Burnin’ Up,” which helped whet demand for the release of A Little Bit Longer later that year. In 2009, the trio released Music from the 3D Concert Experience, along with a live concert film of the same name. Later that year, they released their fourth studio album, Lines, Vines and Trying Times. During the summer of 2010, the Jonas Brothers‘ next Disney series, Jonas L.A., was launched with an accompanying soundtrack, and the group also appeared in the channel’s made-for-TV movie Camp Rock 2, a sequel to the 2008 film that also had its own soundtrack. The band spent the ensuing two years on hiatus, with each of the members pursuing solo projects, but in early 2012 they released a video on Twitter that suggested a new album was in the works. They staged a reunion concert in October of that year at Radio City Music Hall in New York City and debuted a handful of new tracks. A world tour was announced shortly thereafter, but was canceled, along with their recently revealed fifth studio album V, just days before its October 2013 start date due to a “deep rift within the band” concerning their creative direction. Shortly after, the Jonas Brothers announced online that they had officially broken up. Four of the tracks the trio recorded for the proposed fifth album ended up on a 2013 farewell EP, Live. But now they’re back with all the fun and we can’t wait to hear them,aloud.